Nantucket County is made up of Nantucket Island and the small islands of Tuckernuck and Muskeget, all of which are located in eastern Massachusetts, just south of the coast of Cape Cod. According to the U.S. Census Bureau, Nantucket County has a population of just over 10,000 and has a total area of 105.3 square miles. 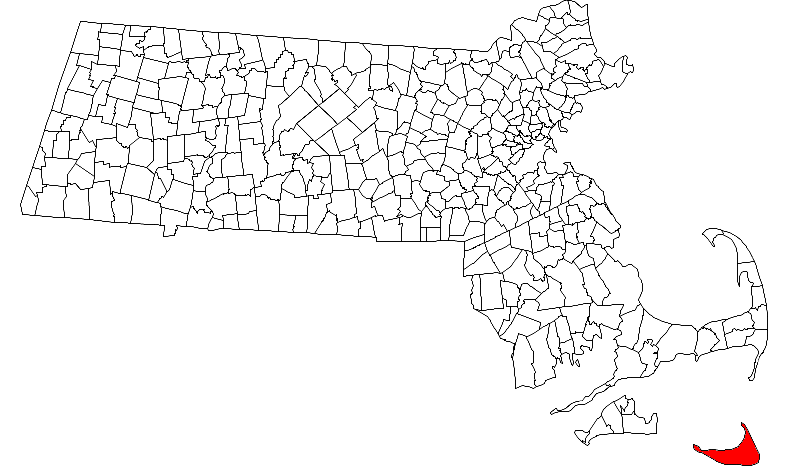 Nantucket County borders Dukes County to the west and Barnstable County to the north.